10.73mm x 11.65mm / 0.422in. x 0.459in. Interfaith Symbol Charm. 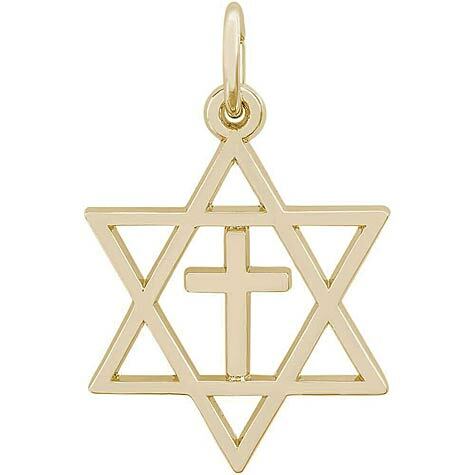 Charm shows the Star of David with a Cross in the middle.